Hornsby RSL Club since 2008 has embarked on a number of environmental initiatives to reduce the carbon footprint of operating a large Club and to contribute the sustainability and protection of the environment around us for future generations. Many of these initiatives are barely noticeable by the general public and Club members however contribute greatly to wellbeing of the planet we live in and to the social standing with the community of Hornsby and its surrounds. 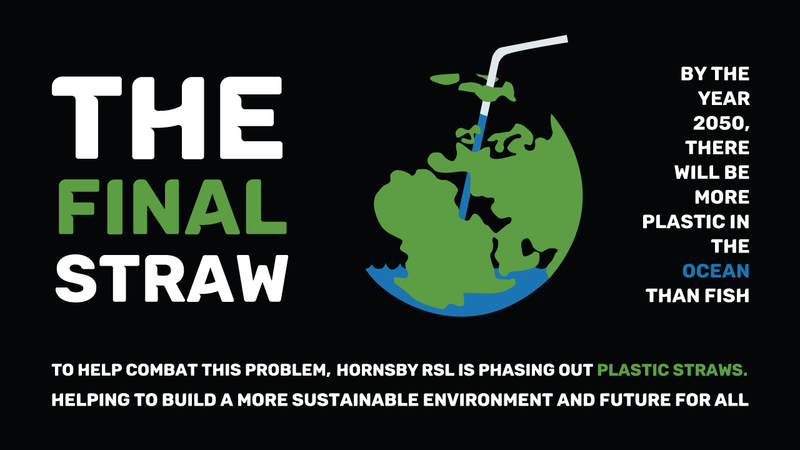 Hornsby RSL Club’s commitment to sustainability incorporates an awareness of the Social, Economic and Environmental risks and responsibilities associated with operating a large Club. Hornsby RSL Club is aware of the role we play and the responsibilities we all have in protecting the environment for future generations. This awareness drives the Club in delivering sustainable outcomes for Club members and both the local and broader community. This policy also aims to establish a common understanding of the principles of sustainability within the Club via the engagement of Club Members, Board of Directors, Management, Staff and the local community. Solar Energy generation: The Club in 2014 invested in 250 solar panels located on the roof space of Hornsby RSL Club delivering 100kWH of green energy to the Club. 100% of this energy is used by the club. Since 2014 the Club has generated over 500Mwh of energy. We have saved over 200,000 tonnes of carbon that is the equivalent of planting almost 700 trees. More daily information can be found here. EP&T Energy Monitoring Systems: In 2014, the Club integrated an energy monitoring system with the installation of both electrical and gas meters throughout the Club to monitor the energy use 24 hours a day. The system highlights increased use, extended use or energy anomalies against a baseline that the Club can then take corrective action to reduce the cost of energy in both monetary and energy use terms. Areas that have seen significant reduction in energy use include the heating and air-conditioning usage, lights and power. Overall the Club has realised a 10% reduction in energy use with a cumulative cost saving since 2014 of over $400,000. LED Lights Upgrade: With all new developments the Club has replaced existing lighting with energy efficient and cost saving LED Lighting. These lights consume a significantly lower amount of energy and last longer than conventional filament or halogen lighting fixtures. The Club has been the recipient of government grants assisting with the replacement of lighting to LED Lights. In 2019, the Club continues to ensure lighting is as efficient as possible, with the Clubs carparks and dock areas lighting being replaced with LED’s and saving the Club over $35,000 per annum in these areas alone. Waterless Urinals: With any new development the Club undertakes any new bathroom facilities will include waterless urinals to reduce the amount of fresh water used and wasted for flushing urinals. The Club now only has two bathrooms remaining with flushing urinals the Showroom & staff change rooms). These urinals are fitted with motion sensors to only flush with bathroom traffic. These waterless urinals have reduced the water consumption of the Club by approximately 30%. Water Harvesting: In 2019 the Club will be introducing water harvesting tanks. These will be located in the cellar dock and will be fed from the roof. The contents of these tanks will assist with the daily cleaning of back of house areas including floor/bar mats. ​The PulpMaster – Food recycling: In 2017 the Club introduced a food recycling system that digests food waste, converts it to a liquid that is then transported away to be made into garden fertilisers. By introducing this system the Club’s kitchens and dining areas and becoming more regulated in the items recycled in the Club, the Club has slashed the landfill garbage waste from 80% garbage to 20% garbage. Our recycling efforts conversely increased from 20% recycled products to 80% products recycled. This initiative has realised over $20,000 per annum in general waste cost disposals. - Toner & Ink Cartridges. Plastic Straws: In the constant fight against plastics the Club has removed plastic straws from use within the Club. Straws are available in selected bars only now are environmentally friendly paper based straws. Roof Solar Protection - SkyCool: SkyCool™ is a solar heat management coating invented and manufactured in Australia. It provides remarkable cooling to the entire building resulting in greatly increased interior comfort and very substantial energy saving on air conditioning. Scientifically, SkyCool achieves its remarkable cooling effect by reflecting up to 90% of the sun’s heat from the roof and radiating 96% of the remaining heat reaching the roof from within the building – day and night. The very high level of radiation has been carefully “tuned” to avoid heating the nearby atmosphere by directing its heat into space. The result is a cool blanket of air generated by the roof which envelopes the building. This, in turn, reduces the energy demands on the air conditioning plant. The ongoing savings of this product contribute to between $2,000-$2,500 air conditioning savings per month.